Seriously. 90 seconds is all it takes. 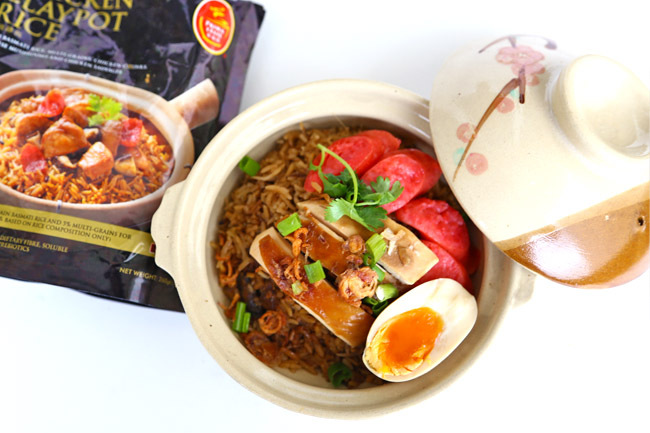 Prima Taste Ready Meals is a new quick meal product, the first of its kind in Singapore, and only requires 90 seconds in the microwave oven before consumption. 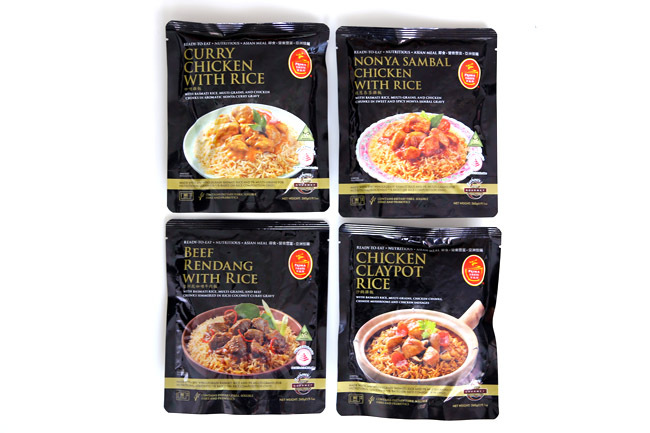 The packets are available in four delicious local flavours of Chicken Claypot Rice, Curry Chicken with Rice, Nonya Sambal Chicken Rice and Beef Rendang with Rice. The technology used is such that no refrigeration is required, and can remain shelf stable for 12 months (with no added preservatives). 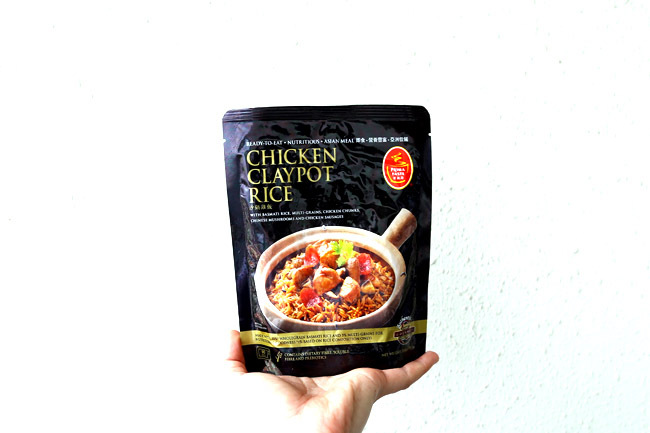 Very convenient if you want to a tasty quick fix, or as gifts to overseas friends for a taste of Singapore. 1. Squeeze unopened pouch gently to loosen rice. 2. Tear a small gap to vent steam (as indicated on the packaging). 3. Place pouch in a standing position inside the microwave oven. 4. Heat on high for 90 secs in a 800W oven. Note: Microwave times may wary depending on wattage. 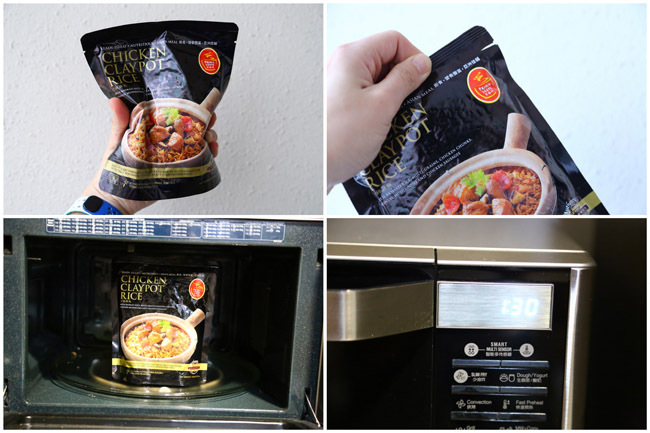 If you do not have a microwave oven, you can use the “Boiling Method” by submerging the Ready Meal pack in boiling water for 10 minutes. 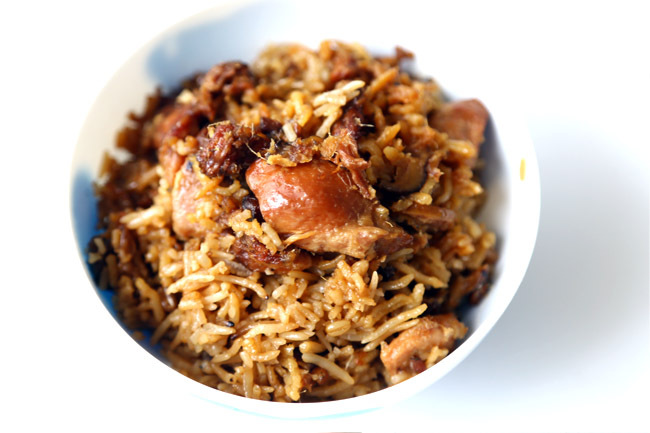 After you let the pouch rest for 1 min, tear open the pouch completely, mix well and the rice is ready to be served. You would notice the rice grains are of varied texture, containing a combination of white basmati rice, whole grain basmati rice and multi-grains. If you have yet to try Basmati rice before, the grains are long, slender with a slightly nutty taste. The rice has been frequently favoured as a healthier option as it is low in fat, gluten-free, contains essential amino acids, low in sodium and has no cholesterol. Basmati rice also has a lower glycaemic index as opposed to regular white rice, meaning that energy is released at a steadier rate leading to a more balanced level of energy. This is also more suitable for diabetes. The Ready Meals are packed with flavours and nutrition, so you can eat it straight from the pack without any additional ingredient to enhance. 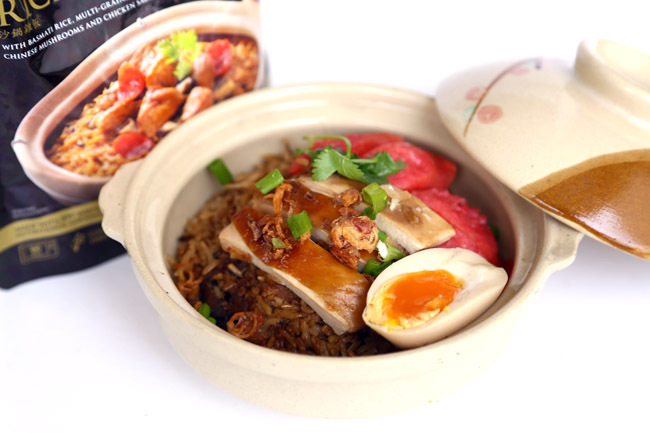 I was also surprised that the Chicken Claypot Rice had quite a bit of ‘liao’ (ingredients) such as Chicken sausage, Chinese mushroom and silvers of salted fish. 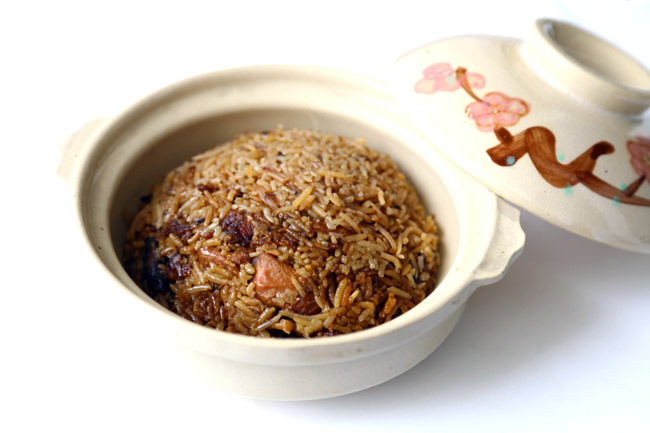 The rice overall is also well seasoned, almost like the actual hawker dish, except for the longer rice grains, and no charred parts. To further garnish to impress your family members and friends you are hosting over, add some poached chicken meat, sliced Taiwanese sausages and egg for a satisfying meal. * This post is brought to you in partnership with Prima Taste.